Prof. Ana Paula Chaves, MSc. I completed the Graduate Program in Computer Science at Department of Informatics at the State University of Maringa in 2009, advised by Professor Ph. D. Elisa Hatsue Moriya Huzita. Currently, I am a Ph.D. student at School of Informatics, Computing, and Cyber Systems at Northern Arizona University, advised by Professor Ph.D. Marco Aurelio Gerosa. At this moment, I am away from my duties as a Faculty at the Federal University of Technology - Paraná, Campus Campo Mourão, Brazil, where I work since 2010 in the Academic Department of Computing, and my return to that position is planned for 2021. 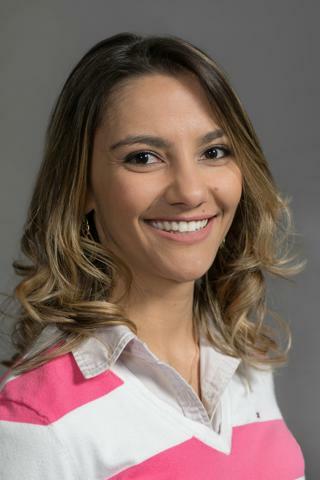 I am also a member of the Research Group on Information Systems from State University of Maringá, and the Software Engineering and Collaborative Systems Research Lab from the Federal University of Technology - Paraná, Campus Campo Mourão. My research area involves Computer Supported Cooperative Work (CSCW), Human-Computer Interface (HCI) and Smart Cities domains, the last one focusing on mobility. Therefore, I am engaged in activities related to the empowerment of women in Computing and Technology fields. I am interested in Human Aspects of Smart Cities and Mobility, and Interaction Design for Conversational Agents.